If you’ve been aware of the recent technological advancements in the 21st century, then certainly you’re aware of VOIP. Short for “Voice over Internet Protocol,” VOIP has made it incredibly easy for businesses to communicate with their customers and other businesses. The idea is that now telecommunications make it possible for businesses to shed outdated methods of communicating, and adopt newer, leaner methods that can give a competitive advantage in a global marketplace. In this article, we’ll take a look at a few ways that VOIP has changed how businesses communicate. In the traditional methods of business expansion, your organization would set up a physical location in a new area in order to interface face-to-face with new customers. This includes leasing office space, hiring foreign staff, following guidelines set out by government organizations, filing documentation, paying fees, opening a bank account… the list goes on. Unfortunately, all of these steps and more need to be placed before your business can even process one transaction. This method of brick & mortar expansion is highly risky — after all, what happens if your business doesn’t catch on in a new market? Today, with VoIP’s capabilities to reach customers instantly around the world, there’s no need for a physical presence. Customers prefer to speak with businesses in the most efficient manner possible. While many tasks can be handled via live chat, email, and self-direction through a fully-integrated website (i.e. one with e-commerce), the truth of the matter is that businesses still need to be reachable by phone. And that’s where VOIP — particularly virtual phone numbers — can help aid your business to communicate with new customers, clients, and local business in a much more cost-effective manner than setting up a branch office in a new country or region. 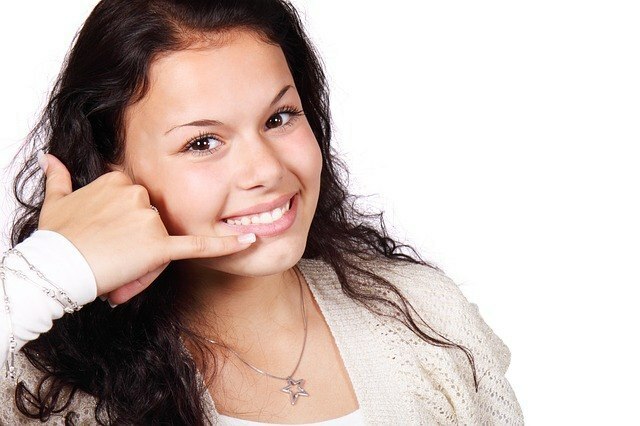 Best of all, once you subscribe with a service provider like United World Telecom (website at https://www.unitedworldtelecom.com/), you instantly gain access to a new market anywhere in the world — not after a mountain of paperwork, unbearable stress, and fingers crossed! Even though we live in a global market with a nearly level playing field, there still remains the question of time zones. After all, the standard 9:00 am – 5:00 pm working hours of New York are the opposite of Perth, Australia and Hong Kong. This is a major obstacle for communication between businesses, but VOIP offers a number of solutions to this problem. Because VoIP is powered by the Internet, it also comes with ever-evolving features to change the way we communicate. For instance, if you outsource your call center using Time of Day Routing, you can overcome time zone differences during the off-hours of your business’s normal operations. This can give your business a 24/7, round the clock service that international customers appreciate. Similarly, by using the VoIP add-on called Simultaneous Ringing, you can have multiple phones ringing at the same time in different locations, which ensures that callers receive the best service no matter where they live and when they decide to call. Even though we live in some of the freest times in terms of recorded history, there are still a number of barriers to communication. Namely, restrictions by service providers to ensure that people aren’t allowed to beyond a country’s network, or by incurring large long-distance fees just for the ability to call outside of that network. Luckily, VoIP’s call forwarding capabilities eliminate these barriers with virtual phone numbers. First, virtual phone numbers are identical in function to “normal” phone numbers. This means that your company located in another country can be called by customers simply using a corresponding virtual phone number. This means that there are no blockages or fees. Second, virtual phone numbers are also identical to “normal” phone numbers, which includes a matching country code, area code, region code, and numbering scheme. Customers inherently trust this, and it becomes a vital part of opening up lines of communication in the localization process.